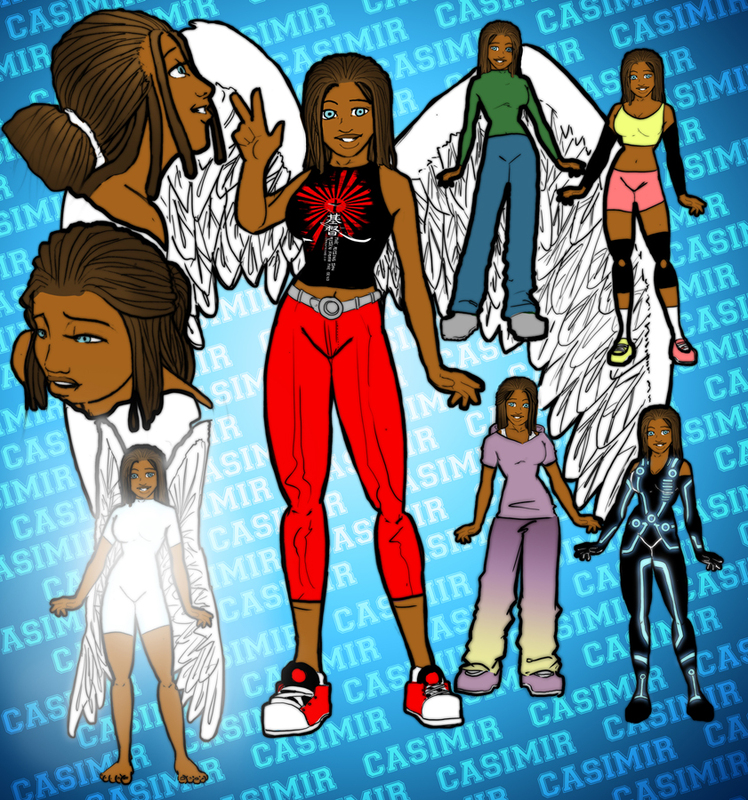 Casimir, a B-Girl chosen profit by God with a mission to go throughout the city of Void to to help the helpless, save the unsaved, and fight the good fight for the glory of God. 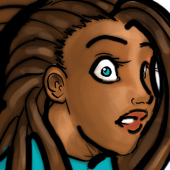 Influenced by the Hip Hop culture she lives in the downtown area, the heart of Void hoping to cross paths with with those in need of Godly influence. Along her journey she met her friend Corry that helps her from time to time. Psychokinesis= the purported ability to mentally move an object without use of physical force. Hypnokinesis= is the purported ability to mentally send an individual into a trance-like state, and/or mentally manipulate an entranced individual via hypnotic suggestion. Hypnokinesis is associated with: telepathy and empathy as a form thereof, precognition and biofeedback. Vitakinesis= Is the the purported biokinetic ability to mentally heal or rejuvenate damaged or aged bodily tissue on a cellular level. She can obviously fly seeing that she has wings. In the end she’s a human like everyone else. She’s sensitive can be knocked to her feet. She COULD be hurt physically.